With the rise in popularity of rideshare companies like Uber and Lyft in urban areas, personal injury claims involving Uber and Lyft drivers have begun cropping up across the United States. The technological advancements employed by ridesharing services are unprecedented and the due to this innovation, legislators see the need for new laws regarding ridesharing company liability. As experienced North Shore & Chicago car accident lawyers, Schaffner Rabinowitz & Feinartz, P.C. understand the complexities of ridesharing liability law and how best to apply it to your Uber or Lyft accident claim. Insurance Policies – Ridesharing drivers are required to maintain a minimum level of liability coverage for their cars to qualify as an Uber or Lyft driver. Additionally, Uber provides their drivers with a $1 million liability policy for verifiable trips. 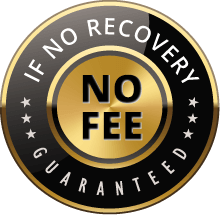 However, if your trip were unable to be verified for any reason, the driver’s personal auto insurance would be the limit of recovery. Unfortunately, some insurance policies list exclusions like driving-for-hire/commercial driving in their policies. These exclusions could be overlooked during the hiring process, which could lead to complications when filing a personal injury claim. Uber & Lyft Employ Untrained Drivers – When you get into the automobile with an Uber or Lyft driver, you are essentially being transported by an untrained commercial driver. Uber and Lyft does not offer commercial driving training to their drivers, and the screening process is not thorough. Furthermore, rideshare apps require their drivers to use cell phones to accept trips, sometimes even during their drive. This bad behavior leads to distracted driving and prone to accidents. 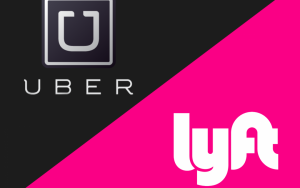 Independent Contractors – Lyft and Uber claim their driver are not employees but are instead “independent contractors.” Uber and Lyft makes this claim to distance their company from their drivers, which they use to deny liability when their drivers cause injuries to the public. If you were injured while taking an Uber or Lyft or were in a traffic crash with one of their drivers, you deserve to be adequately compensated for your injuries. As a passenger injured in an accident, it can be frustrating to have your claim denied or to be offered inadequate insurance settlements. Let our skilled Chicago car accident attorney help you get the compensation you need after your injuries. Schaffner Rabinowitz & Feinartz, PC is conveniently located in Northbrook, IL. Call us today at 224-235-4150.